This Autumn and Winter will see quite a few of our projects being showcased in living rooms across the country. Manufacturing sets for TV shows has always been a most welcome source of work for us and an excellent use of our workshop skills. Here’s a taster of our television work coming up soon. Filming starts next week for ITV’s The Voice. 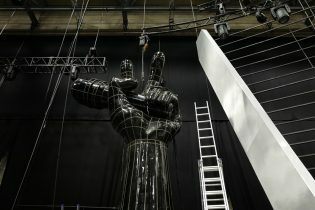 We have crew on site in Manchester this week installing the set for the first round of Blind Auditions. Take a look at our previous work on The Voice, here. Our workshops will also be busy creating some regional sets for BBC Scotland, as well as providing a refurbishment of Dominic Tolfts’s dynamic set for the BBC’s Sports Personality of the Year Show 2018, our seventh year delivering the set for this flagship show. We’re also excited to be working with a new television client, creating a series of three sets for the London studio of a Chinese broadcaster. 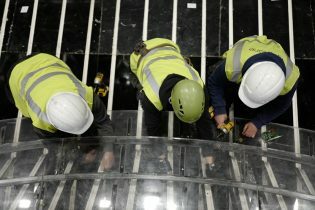 It’s great to see the workshops turning out such work to such a high standard. And of course, its always good to see the fruits of your labour taking some of the limelight on TV.